1 1/2 Oz. 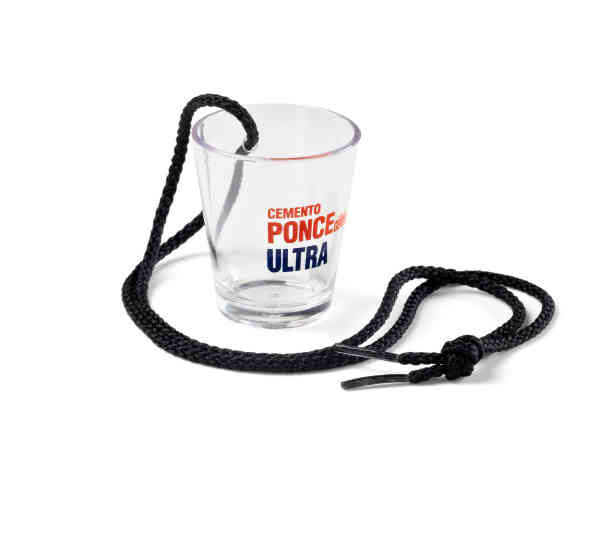 Plastic Molded Shot Glass with Neck Rope. Made of BPA Free high heat crystal styrene plastic which offers excellent clarity and cost effectiveness. Great for theme events, branding and event marketing. Made in USA.